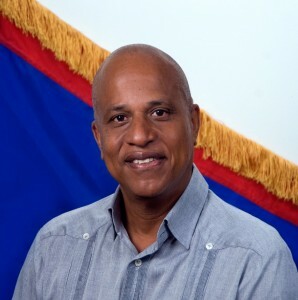 Prime Minister of Belize and Minister of Finance, Honorable Dean Barrow departed for Washington, DC, USA on Saturday, January 23rd to attended meetings with key senior officials of the United States Federal Government and of the US banking monitoring systems on the problems being faced by the Belizean banking sector. For over a year now, the Belize banking sector has been feeling the effects of the USA’s ‘de-risking’ strategy which has resulted in the loss of correspondent banking relationships. Even though the banking sector has not yet reached the crisis point, if a solution to this issue is not found soon, Belize’s economy will suffer from a break in financial transactions with the USA. During his visit, Barrow is being accompanied by Financial Secretary, Joseph Waight, the Governor of the Central Bank of Belize, Glenford Ysaguirre, and Ambassadors Patrick Andrews and Mark Espat. It is his hope that these meetings will serve to establish a solution to the problem. Currently only two banks, Atlantic Bank and ScotiaBank, have maintained correspondence with smaller US banks. All other banks, including Belize Bank and Heritage Bank, have lost all correspondence and may possibly lose the ability to carry out credit card settlements. “According to US banks, the regulatory burden that US authorities have imposed on them simply makes it not cost effective to continue to do business in our small jurisdictions. I believe for the last full year that Bank of America was the correspondent bank for Belize Bank, the total value of that relationship to Bank of America may have been like six million dollars. That’s the type of money Bank of America makes in a minute. To an institution such as the Bank of America, the cost of following all the new regulations from the ‘de-risking’ strategy is just not worth it. In the end they will pay more to discharge their prudential regulatory requirements than they will make from the banks in Belize, so they put the relationship at an end. That’s why some of the banks have gone the route of having fostered new relationships with smaller banks such as this Community Federal Savings Bank in New York that’s doing the credit card settlements. It makes rather more sense for them, but you can see how the larger banks such as Bank of America, Commerzbank, Bank of New York and Wells Fargo would not have any interest any longer in doing business in small jurisdictions such as Belize. That is why it is such a hard problem to sort out,” said Barrow during an interview prior to his departure. Barrow went on to say that during his meetings in the USA he will be attempting to foster relationships with smaller banks in the USA. “We are going to be aiming now at trying to engage in these new relationships with smaller banks for who it will not be as onerous, for who it would rather make more economic sense to do business in Belize since they are not so big as to be able to simply turn up their nose at business in Belize and decide that it's not worth it because of the regularity burden." Barrow indicated that he will be requesting assistance from USA officials to do this. The Opposition has also addressed the banking issues citing that it is a pressing matter. “It is no longer feasible to do business, in particular to the purchase of goods and services from the USA and elsewhere. The use of credit cards is failing. These are the effect that this situation has had on our economy, a terrible effect. We need this issue to be addressed not only in Belize but on the world stage. It is soon going to be impossible for us to do business, and we need to take this matter very seriously because it is going to affect our economy,” said Area Representative of Caribbean Shores Area, Honorable Kareem Musa, during a house meeting on Friday, January 22nd. Expats on the island have confirmed incidents with rejected credit cards and international banks stating Belize is a “restricted country”. One expat living on Ambergris Caye indicated to The San Pedro Sun that the she was unable to use her MasterCard to make a purchase on Saturday, January 16th. “After Calling MasterCard they said we could not use our card in Belize as it’s a restricted country! It was a Global MasterCard issued by the Credit Union in Canada. This issue greatly concerns me living in Belize,” said the concerned resident. Other residents are reporting that they cannot use their Belize Bank issued credit card to make foreign purchases. If problems continue in the banking sector, it will not only affect those living in the country but also visitors coming to Belize. Barrow is scheduled to return on Sunday, January 31st with a possible solution to these issues.